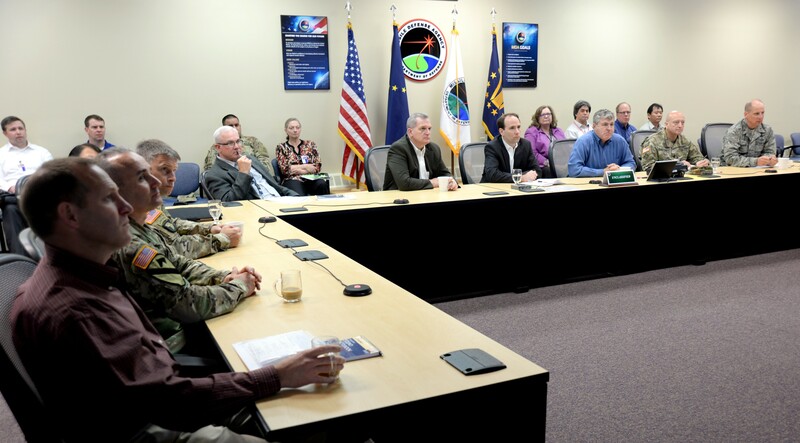 JOINT BASE ELMENDORF-RICHARDSON, AK -- A new era of military modernization was the theme during a visit to Alaska by one of the Department of Defense's top officials. During the week of June 3, the Honorable Lucian Niemeyer, Assistant Secretary of Defense for Energy, Installations and Environment, toured new military construction projects valued in excess of $1 billion at Clear Air Force Station, Eielson Air Force Base, Fort Greely and Fort Wainwright -- all located in the greater Fairbanks area. 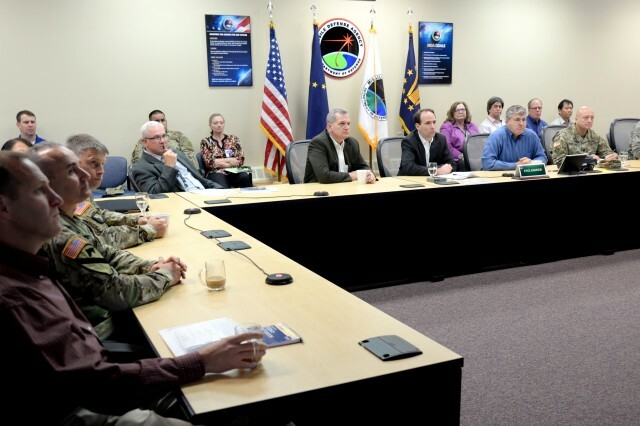 Meeting with command leadership at each installation and visiting construction sites under the management of the U.S. Army Corps of Engineers -- Pacific Ocean Division's Alaska District, Niemeyer saw DoD's military capacity in the Far North. "The Alaska area is of strategic importance in the entire world," Niemeyer said. "It is pretty significant where the U.S. can reach out and project power from Alaska." Part of his responsibilities are to ensure that defense spending around the globe -- intended to increase U.S. lethality or readiness to work with its allies -- is done wisely, he said. 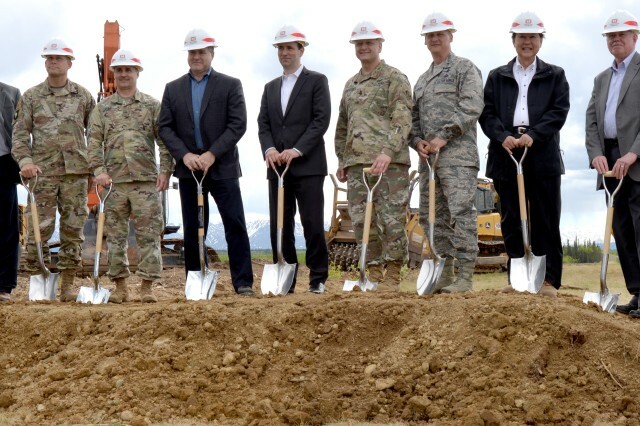 The partnerships between DoD stakeholders, to include outside entities like construction contractors, were of particular focus during the visit. "Because of the magnitude of the investments we are spending in the Fairbanks area, I felt it was important to come up here and get a first-hand look at what we are delivering to the warfighter and in time to meet their timeline," Niemeyer said. 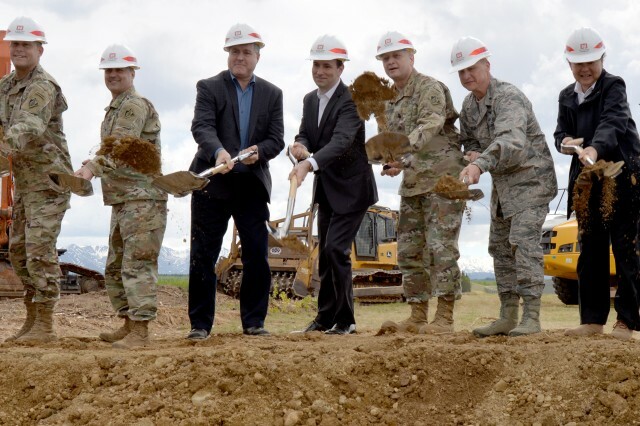 Since 1999, the Missile Defense Agency and the Corps' Alaska District have collaborated to design and construct infrastructure to bolster the nation's defense posture against foreign-launched missile systems. Since then, the district has designed six facilities, completed 63 projects and are actively engaged in 13 other missile defense-related construction efforts such as Clear Air Force Station's $347 million Long Range Discrimination Radar complex. 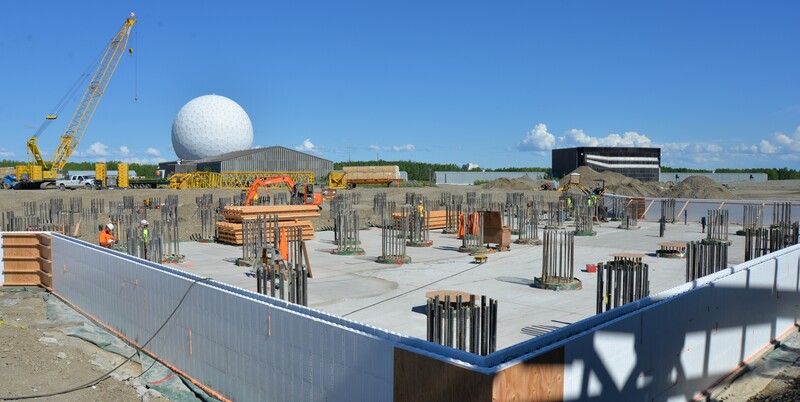 The two agencies' combined efforts to date have resulted in the design and construction of missile defense facilities in Alaska valued at about $1.26 billion. "We are ahead of schedule and are here in record time," said Col. Michael Brooks, commander of the Alaska District, of the new missile field. He credited the team for their efforts to push the project ahead of schedule. "We have moved mountains and we know what is at stake." While missile defense is a large DoD mission, a beddown projects supporting the arrival of two F-35A fighter jet squadrons between 2020 and 2022 at Eielson Air Force Base will require just as much schedule precision and teamwork amongst the program's executing agencies. 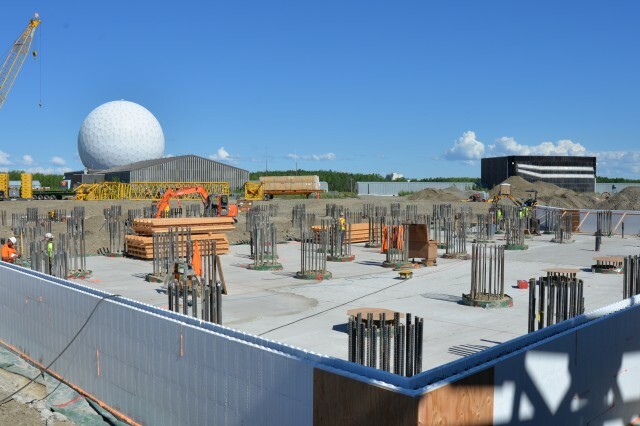 Totaling about $551 million, some of the essential infrastructure needed includes a new flight simulator, missile maintenance facility, aircraft weather shelters and a dining facility. The aircraft will not only bring advanced aerial technology to Alaska, but about 3,500 personnel and their families -- all additive to the existing Eielson mission. Hence, the need for supporting infrastructure like a new $22.5 million school age center. "When I first started with this program I got a lot of feedback that it was going to be complicated," said Monica Velasco, resident engineer for the district's Alaska Area Office. "The amount of support from the Air Force, Eielson and the Air Force Civil Engineer Center has been incredible. Everyone has been pushing the team toward the right direction and wanting to succeed." "I am up here to review lessons about what the team is doing, so we can apply them elsewhere in the world and have better results in the military construction program," Niemeyer said. After touring the Corps' permafrost tunnel just north of Fairbanks, it was apparent to Niemeyer that construction in Alaska has its challenges in the form of a short summer season, dynamic landscape and Arctic environment. However, the expeditionary mindset and resiliency of the team is symbolic of what America is all about, he said, especially when the mission drives the timeline of delivering critical infrastructure in order to stay ahead of evolving adversaries. "You can see why DoD looks at the Fairbanks area and Alaska as a whole as an area to continue to invest in capabilities to protect the homeland," Niemeyer said.